The old-fashioned Cracker Jack boxes had it right. Their product, popcorn and peanuts covered with sticky caramel, was just what kids wanted to munch. With a toy in every box, children found the snack irresistible. Generations of loyal fans bought the snack mix—sometimes just for the toys. They were so popular that Etsy and eBay now feature the cheap plastic Cracker Jack prizes as collectibles. Although Cracker Jack discontinued its giveaway, much to its customers’ chagrin, McDonalds still recognizes the value of merchandising. Kids—and even adults in search of future collectibles—line up to purchase Happy Meals just for the toys. A business who gives away little extras to its patrons can capture that youthful sense of surprise if the prizes are worth keeping. Let’s face it, a pen that won’t write isn’t much of a prize. Yet many companies continue to hand them out, thinking they’re doing their customers a favor. They’re not. The minute a customer pulls out a pen with a company’s name on it and discovers the thing can’t write—that’s the moment s/he has second thoughts about the quality of that company’s work. Instead of building bad vibes, companies can choose high-quality merchandising tools to market their products. 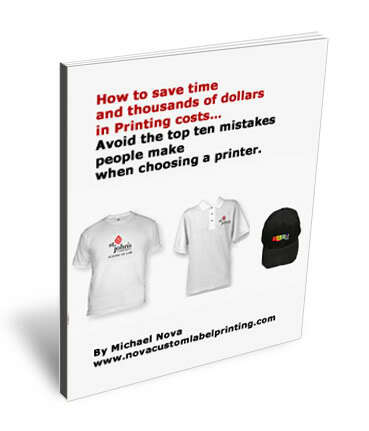 Do some research on any promotional gear you plan to have printed with the company’s name on it. Ask for samples. Use the samples. If the pens don’t write after a few uses, if the t-shirts fall apart or fade after a couple of washes, don’t order these items in bulk. Find another source. A promotional item should be useful to those who receive it. These items won’t bring a company to a customer’s mind if they’re hidden deep inside a junk drawer. Before a company chooses a merchandising item, it needs to consider whether its target customers will actually use the product. Thoughtfulness seems to be the key to merchandising success. Beverage companies, suggests Preston, can give away coasters or coolers, while car dealers may choose branded mud flaps or license plate holders. An amusement park could provide customers who “survive” a particularly harrowing ride a windup toy that replicates the ride in miniature. Creativity, too, can help win hearts through effective merchandising. An eye-catching logo on a t-shirt, an advertising poster beautiful enough to frame, all can set a business apart from the rest. 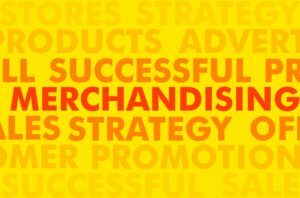 With a little innovation and a little investment, a good merchandising campaign can bring a business a lot of publicity and a huge return on its investment.